Deli Austin 2013 issue is online! 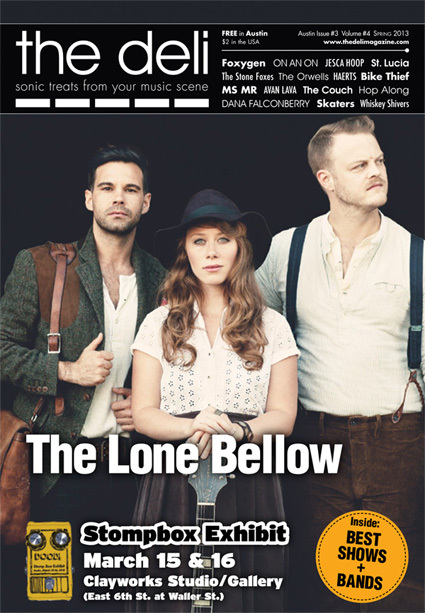 The Deli's Austin 2013 issue is now online - with The Lone Bellow on the cover! They are playing City Winery tomorrow by the way (03.08). You can read it (but you can't feel it) HERE. If you want to feel it you'll have to come to Austin during Music Week (March 12-17), we'll distribute 10k of these pocket rags between Downtown, the East Side and South Congress. TWO Deli Shows in Austin during Music Week! 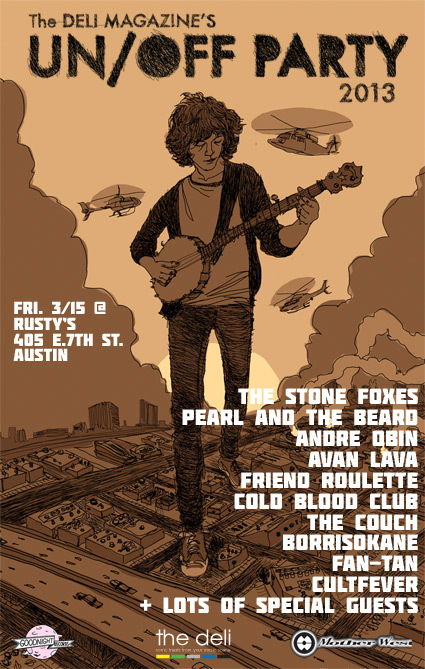 The Stone Foxes (SF) - Pearl and The Beard (NYC) - The Couch (Austin) - Friend Roulette (NYC) - André Obin (Boston) - Borrisokane (Austin) -Cultfever (NYC) - Cold Blood Club (NYC) - Fan Tan (NYC) + MANY SPECIAL GUESTS! 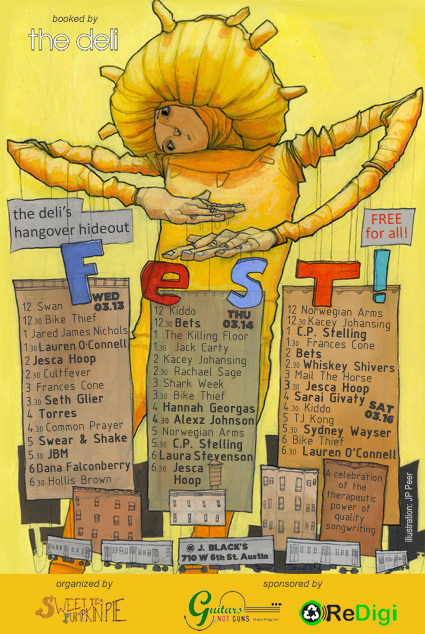 The Deli's Hangover Hideout (a 3 day celebration of the therapeutic power of quality songwriting). 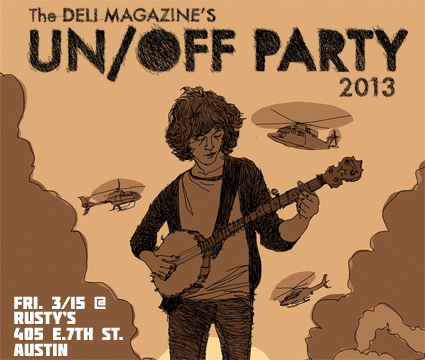 The Deli UN/OFF show in Austin: The Stone Foxes, Pearl & The Beards, Andre Obin, Avan Lava, Friend Roulette + more! The Deli will be in Austin on March 15 with a two stage night party hosted at Austin's legendary gay bar Rusty's. Great lineup of artists and even greater list of Special Guests who will be announced shortly. See here for more info + band links! The Deli announces the First Austin Hangover Hideout! 3 days of acoustic artists on Music Week! This year The Deli will present in full force in Austin during the unmentionable Live Music Fest. We were asked to help book a small room in Downtown West, and this idea became our first Deli Hangover Hideout!!! 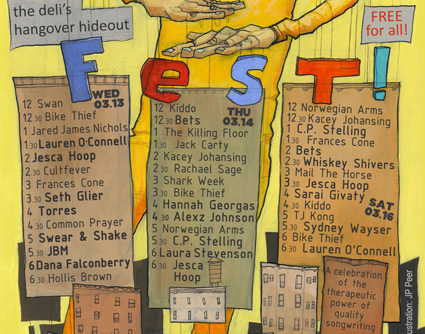 Check out this outstanding lineup of (mostly) singer songwriters and acoustic bands. The Deli's Best of 2012 Poll for emerging New England artists is now over, thanks to all those who cast their vote in support of the emerging local bands and artists in our list of nominees. 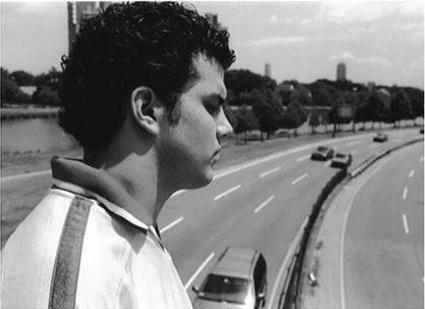 Congrats to Boston rapper MC Kabir pictured and streaming below) for becoming The Deli Readers' Best New England Artist of 2012. Kudos also the close seconds, powerful alt folk sextet The Bridgebuilders. New Hampshire's garage soul band Gnarlemagne placed third. Stay tuned for the composite chart, to be released soon, which will include the point nominees accumulated from the jurors and Deli writers' votes, and will crown The Deli's Best Emerging DC Area Artist of 2012.